See Part I, Part II. 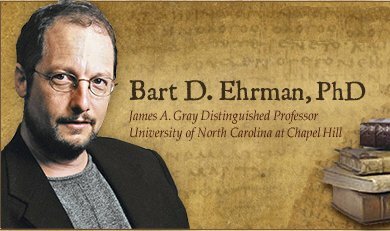 Bart Ehrman, in his How Jesus Became God, spends two chapters on the subject of the resurrection of Jesus because he believes that the early disciples’ belief that Jesus appeared to them was the major impetus for recognizing his divinity (chs. 4-5). To be quite honest, while I thought his first few chapters were not so bad, I think his argumentation takes several steps backwards in these chapters. I felt that, in these chapters in particular, Ehrman took too many liberties in (1) defining what historians can and cannot do and (2) using guesswork to move his argument forward. We will get to that in a moment. (1) It is historically unlikely, according to Ehrman, that Jesus was taken down from the cross and given a proper burial. Most likely, he was picked apart by birds or fed to wild animals. That is because the cruel Romans who used crucifixion to bring ultimate shame to the accused would hardly have politely agreed to requests to offer this “enemy of the state” a dignified burial. (2) Ehrman doesn’t believe Jesus bodily rose from the dead. His best guess is that the NT and the phenomenon of early Christianity itself probably attests to the early disciples believing Jesus appeared to them (esp Peter and Paul). This may very well have been hallucinations. While Ehrman sometimes comes across as open to letting readers come to their own conclusions about Jesus’ nature, Ehrman clearly states his “historical” view: “[Jesus] was purely human” (204). I would like to interact with a series of arguments in regards to these points that Ehrman makes in these chapters. Part of Ehrman’s argumentation in dismissing the burial traditions of Jesus is rarity – Paul does not mention Joseph of Arimathea, he argues (see pp. 152-153). I cannot see why this is that big of a deal – we cannot equate Paul’s letters (which are pastoral documents, not evangelistic ones) with how he shared the gospel (even 1 Thess 1:9-10 does not say it all). Aside from 1 Tim 6:13, Paul doesn’t talk about Pontius Pilate. He simply did not have a reason to share that kind of information in his letters. Paul doesn’t mention Mary or Joseph or Jesus’ siblings. There are lots of things Paul doesn’t talk about. Besides, Ehrman seems to put a lot of stock in the Christian “tradition” of 1 Cor 15, but doesn’t give much credit to Paul’s own attestation of the burial of Jesus in 1 Cor 15:4. Let alone how important burial image is for his baptismal language (Rom 6:4; Col 2:12). From what I can see, the burial of Jesus was fixed into the Christian tradition from the start. Ehrman proposes that Jesus was not buried, but the early Christians fabricated an empty-tomb story so they could have a resurrected Jesus. I don’t agree that this was needed. Couldn’t Jesus have been eaten by wild animals and still God put his body back together? People died in all kinds of ways in the OT and second temple period, but still believed in the (general) resurrection. So, why not have Jesus “raised” after being eaten? I think that it could have worked that way. Is the Eyewitness Testimony of Women Proof of Empty Tomb Story? Ehrman comments that Christian apologists often say that the fact that it is women who are the main and first witnesses to the empty tomb are indicators that these stories are not fabricated. But Ehrman rebuts with the idea that men wouldn’t fabricate such stories, but women preachers would. He argues that, since there were many women in early Christianity, they would have a vested interest in making up such stories. Really? I find it very hard to believe, despite the high numbers of women, that women themselves introduced women as the first and main witnesses of the resurrection. Despite such a thing being good for them (as women), would it help the sharing of the gospel? Also, even if “women storytellers” were responsible for the introduction of the tradition (which I doubt), what would compel the gospel writers to follow this tradition? Would they have felt compelled to do so? What would have made this women-witness tradition “stick”? Why Did Witnesses of Resurrection Still Doubt? Ehrman wonders, if Jesus did really rise from the dead, and appear to disciples, why were some eye-witnessing disciples still skeptical? Good question, Erhman, but even the Parable of the Rich Man and Lazarus anticipate this strange phenomenon – some things are just hard to believe. But not just because it was a strange vision, but because Jesus was crucified. No one comes back from crucifixion. Game over. But not this time. They doubted and wondered because “Cursed is anyone who hangs on a tree.” It’s all about context, not appearance form per se. Perhaps the biggest argument Ehrman repeats – one I found so strange – is that he says historians as historians cannot turn to “resurrection” to explain the empty tomb because that does not compute according to the code of historical study. Why not? Because a theory can only be put forward that fits within the options most historians consider possible. Ehrman says this over and over and over again. The resurrection cannot be taken seriously as a theory or event because “it requires a set of theological beliefs that are not generally held by all historians doing this kind of investigation” (148). I find this such an unusual argument! What he is basically saying is this: That Jesus rose from the dead is extremely improbable. OK – All Christians agree with that! It doesn’t happen all the time! But does that make it historically impossible? If history has taught us anything, it is that, while history often repeats itself, there sometimes happens events that are very unlikely. Right? But here Ehrman seems to follow a set of rules for historians that are dependent on what historians believe theologically. Does that mean if, all of a sudden the best historians in the world converted to Christianity, that we could then say the resurrection was a historical event because it now fits into their theological presuppositions? I guarantee Ehrman would have to say “yes,” though he would think such a mass conversion unlikely (!). Again, this bewilders me. History-work has never been dependent on mass-consensus on theological presuppositions. It is about evidence. Plain and simple. Different people will interpret ambiguous evidence differently, but it just means that historical work is tricky, not that there is a historians’ theological-presupposition handbook out there. (Bottom line: Ehrman has to define what a historian is in such a way as to make the resurrection impossible as a theory that a ‘historian’ could make appeal to.) This is an extremely modernistic attitude towards historical work and I would dare to say there are quite a few historians (past and present) who define what historians can and cannot do very differently. If the NT is wrong about the burial, resurrection, and ascension of Jesus, what happened? Repeatedly, Ehrman has to venture his own theories (birds ate Jesus, Peter and Paul had hallucinations, there was no ascension). But throughout these chapters you will read a lot of “maybe’s” and “possibly’s.” He has to guess his way through (because, without the NT, which he mistrusts, he’s left with guesses). But at the end of a string of sequential guesses, all you have is a historical fiction (the Ehrman revisionist story of Christianity) that is one big guess based on things that normally happen (i.e., crucified bodies get eaten, people sometimes have visions). To me, that is not helpful. At best Ehrman should have stopped with: We don’t know what happened at all in the first century regarding Jesus and the origins of Christianity and we will never know. I just cannot see why he would venture so many tenuous guesses based on relative historical scenarios. Either it happened the way the early Christians recount, or it did not. If not, we just don’t know and guesses are not worth proposing because Ehrman tends to transform them into probabilities. I am far from a bible scholar and I haven’t read this recent edition to Ehrmans rejection of the Christian tradition and the authenticity of the gospels but in regards to why he makes assumptions I think I may have a clue. Ehrmans position is to nullify any merit the gospels have because he sees them as a woven fabrication that had strands added over a period of time in which it seems the patterns became more and more elaborate. His objective is obvious and it may be futile or needless but consecutive stabs at guessing may be vindication for him to have a means of understanding “how” Jesus became God. I struggle too but with what I feel is an even greater question. It’s a question that Christian theologians and apologists have crafted such careful answers to all these years after this cult began. My question is directed at the heart of the academic Christians who unlike the lay church have been exposed to the obvious inconsistencies and embarrassments of the scriptures and the years of Christian evolution that has spawned such a number of theories and movements and variations yet they somehow manage to overlook all of these puzzling aberrations and adhere to some sort of belief however vague or watered down or liberal it may be. How do they do it ? I may never get an answer. The more I learn of the history of what we call Christianity (from Constatine to the American Protestantism of today) the more I see it in the same light as any other ancient middle eastern religion with heroic myths and legends. If Calvin is correct then maybe only some of us were appropriated the faith needed to believe especially faced with what we are able to know about our world today.